[The following is a guest post by Andrew Foxwell of ppcassociates.com]. You likely know about unpublished page photo posts by now. They’re those snazzy, new ads that marketers are able to create with a stunning photo, a little text and a nice link that goes directly to your site. Most importantly, they’re placed in the best location on the web: the Facebook News Feed. If you use the Facebook offsite pixel, you can also have these optimized directly for conversions on your website, thus helping you gain new customers and drive new sales. They also allow you to do sophisticated multivariate testing with the Facebook Power Editor, which helps to show the ads that are doing the best. 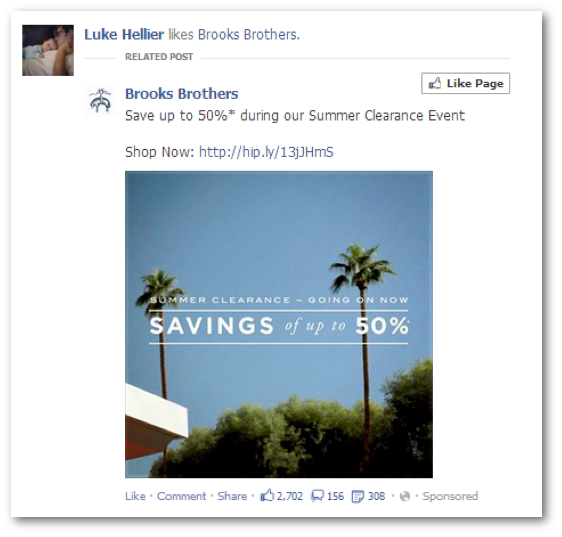 Unpublished Photo Posts have been available to all Facebook marketers for about seven months now. Many businesses are starting to explore them as they are now what the majority of Facebook account managers are recommending. What’s the best way to bid for unpublished photo posts? How long do unpublished photo posts last? What effect does the new Facebook reporting have on my ability to see where this ad unit performs best? Here’s an attempt to answer some of these questions. Originally, the best way to bid on Facebook ads in general was Optimized CPM or oCPM. This was released about a year and a half ago, and it started as a great way to get the most bang for your buck and actually deliver cheaper CPCs across the board. However, lately, with the combination of unpublished photo posts and oCPM, I have been seeing results that decline very quickly and CPCs that rise after a similar time frame. And this is especially prevalent if your ads are going in the Facebook News Feed. My recommendation would be to try CPC bidding in your account and see which ads drive the most conversions with the Facebook pixel. This leads into my next question around how long unpublished photo posts last. Here’s an answer you’re going to love: it depends. I manage over 20 accounts that are running ads in the News Feed, and here’s some aggregated data from a few. In this account, targeting, copy and creative remained the same for a period of about two weeks; the ads showed in the News Feed only, on desktop and mobile. The interest targeting also did not change. 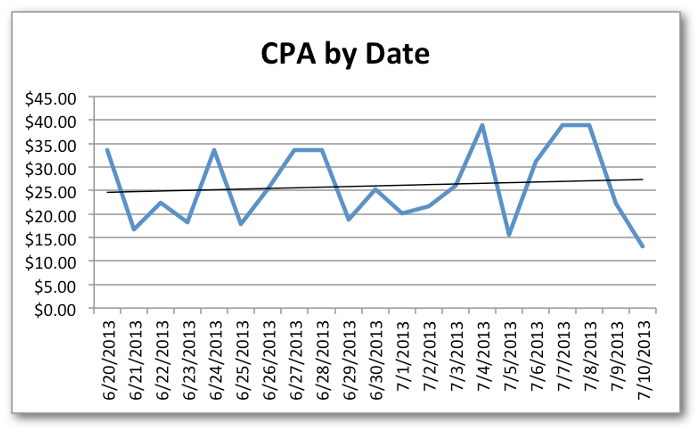 In this example, you can see that after about two weeks, the CPA on average quadrupled. Obviously not sustainable! The client didn’t have a lot of creative assets, so coming up with new creative was tough. In the below account, by contrast, we updated the targeting every third day and the creative every week (the placement remained constant). The CPA is obviously schizophrenic, but on average, the increase is much lower. It’s not a scientific study but any means, but it does mean in my hypothesis that keeping all other controls (i.e. 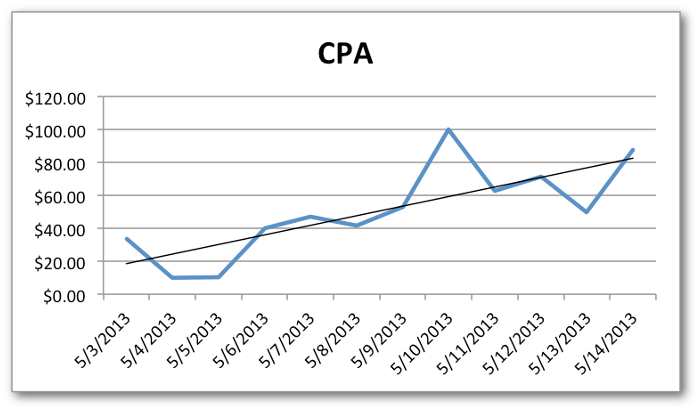 creative, copy, targeting and placement) constant, your CPAs will rise by a minimum of 30% over two weeks. It also shows that if you change targeting, creative and copy, you can control over time the performance of unpublished photo posts. It also shows, in my belief, that this is a brand new ad unit which is, at this point, good but not entirely predictable. Competition is increasing for the News Feed, so prices are rising and Facebook’s ad algorithm does change on a daily basis, so you need to keep an eye on things to really squeeze the best performance out of it. One other thing you can control now, with the release of new reporting on Facebook, is the ability to see what the News Feed really does on desktop and mobile and compare that to the rest of your placements (e.g. right-column ads) on desktop. On almost every example I have looked at for clients, the mobile News Feed and Desktop News Feed are significantly better performers for CPC and CPA than that of their other placements on desktop. How CRAZY is it how the pure News Feed targeting is so much better? Also, how about the inexpensive nature of News Feed on mobile? You can pull this data very easily by simply selecting placement in the new reporting function and downloading it with the CPA data included. Plenty of interesting data. So what does it tell us? It proves that the News Feed is truly the best place on the web, and targeting to all desktop placement might not be the best way to spend your dollar. Hopefully these tips give you some food for thought in your campaigns!